Although we speak of "the elderly" as if there were one body of people with common characteristics, older adults are more heterogeneous than any other popu- lation. People over the age of 65 are also the fastest-growing segment of the population in the United States, currently numbering 25 million. The majority of older adults reside in their communities; a small fraction of them are cared for in institutions. Most may expect to experience some kind of physical impairment. Approximately a quarter of the population may expect to suffer amental health impairment. While traditional therapies have not been especially effective for older adults, behavior therapy has shown exceptional promise as a treatment modality. 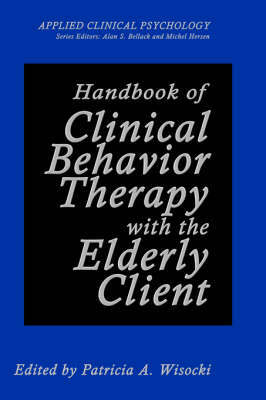 This book presents a comprehensive explication of the relatively new field of behavioral gerontology. It was written for the clinician interested in the interaction of medical, environmental, and psychological variables and their effects on treatment of elderly clients and for the researcher who will be looking to extend knowledge about interventions with this population. It will be useful for the graduate student in clinical psychology, as weIl as the experienced clinician, who will want to include the elderly in his or her therapeutic population.